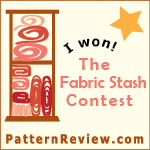 I am a bit behind with blogging, and before I write about my OAL outfit, I wanted to write about my last make. 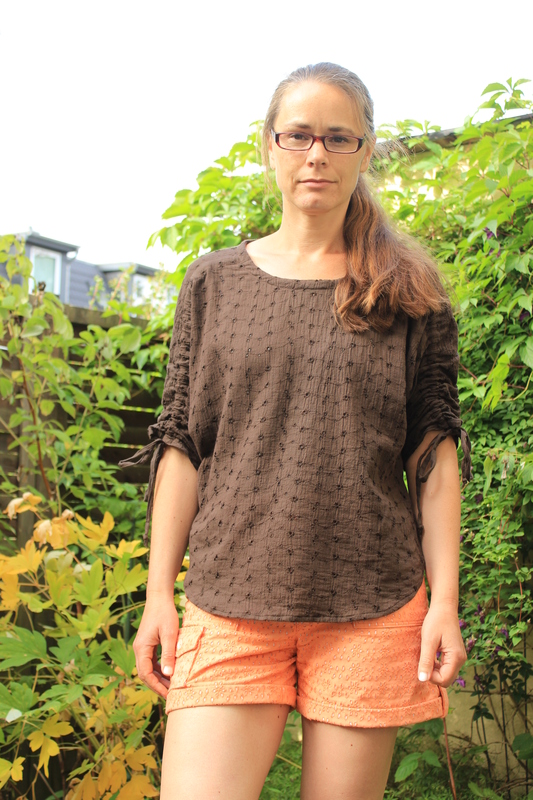 Kennis from Itch to Stitch released a new pattern, the Carey Top, and I was one of the pattern testers. This is a great top in the “throw-on-and-feel-good” category. It is easy to make and easy to wear. I sewed this up in an afternoon. I used some cotton eyelet crinkle fabric I had in my stash for a few years. I never was sure what to make with it, but for this top it is perfect. It is drapey enough and not too thick. And it goes well with my Angelia shorts. There is a separate shoulder panel which is great for color blocking. Some other testers did this and it is really nice. I did not have any suitable fabric for colorblocking, so I stayed with my main fabric. None. As this is a loose fitting style I did not make a muslin but relied on the finished measurements that are given in the instructions. I made a size 2 and the lenght is perfect for me. However, as many testers lengthened the shirt, Kennis added a few inches to the final version. So be sure to check the lenght before sewing (there are shorten/lenghten lines included in the pattern so this is an easy fix). As always the instructions from Kennis are clear and detailed. The most time-consuming part was sewing the drawstrings, but you can skip this and use purchased ribbon, twill tape or cording. What I really liked is that in the instructions is a separate section how to make a narrow hem with three different methods. I used the “serger and sewing machine” method. This means I first serged the edge and then used this as a guide to double fold the hem over and stitched it in place. This worked really well. First I was a bit unsure if I would like the shape. Usually I am for a more fitted look. But now I love it. I have also worn it tucked in with my long Emily culottes. 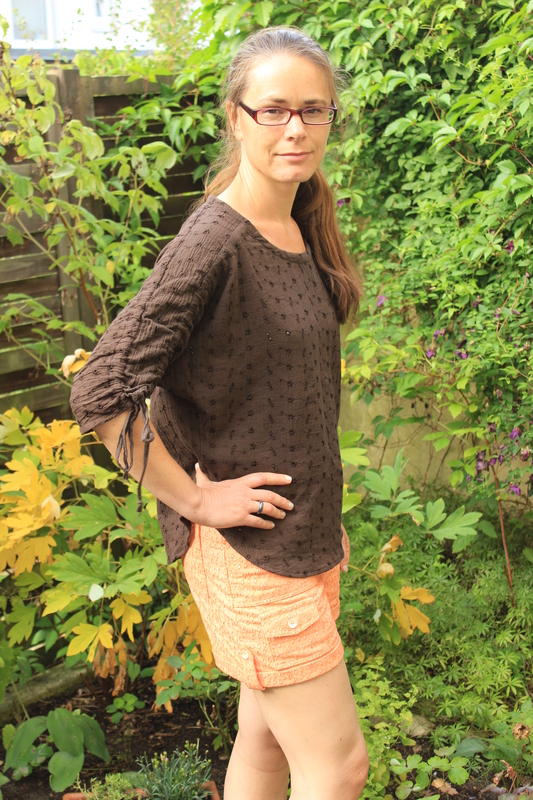 This is a great and versatile top that I wear very often at the moment. This entry was posted in indie pattern, Itch to Stitch, pattern tester, Top and tagged itch to stitch, pattern testing, sewing. Bookmark the permalink.